Forever 21 features new and exciting store environments, a constant flow of fun and creative clothing designs and the accessories to make your look come together at the right price. A phenomenon in the fashion world, Forever 21 provides shoppers with an unprecedented selection of today's fashions, always changing and always in style. Forever XXI - a remedy for your everyday shopaholic! 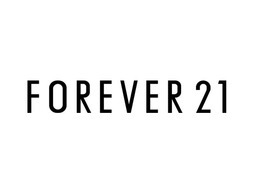 Shop Kitchener's best deals on dresses, leggings, outerwear, tops, tees, and accessories at Forever 21 in CF Fairview Park.